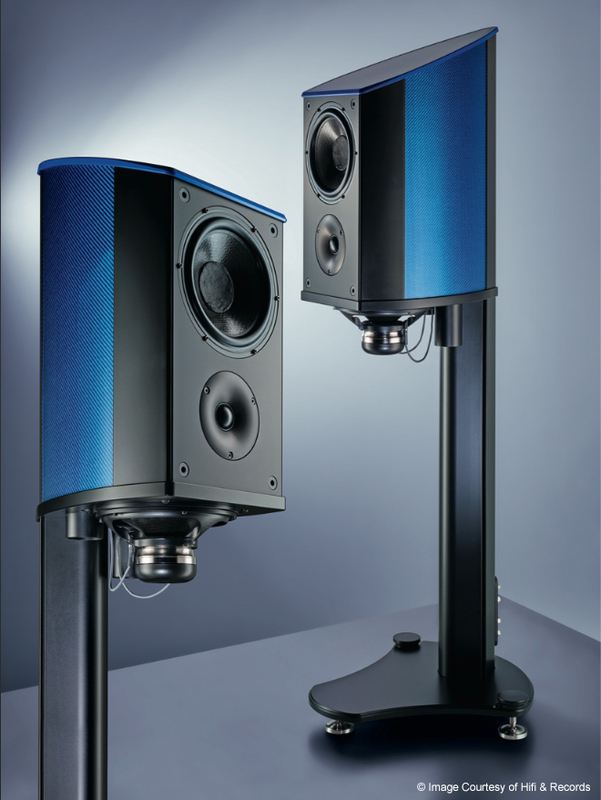 “The Blue Marvel” is how Hifi & Records editor Wilfried Kress decided to title his World Premiere review of the Discovery II P1. It has been many years since the first Discovery passed beneath Herr Kress’s laboratory lens. Discovery II has now replaced what was one of the most novel designs ever created and it remains unique. 15-years later, Discovery II must now justify itself and demonstrate why this product is worthy of its name. Kress not only provides a review, he attempts to provide you with an insight into the philosophy of loudspeaker design. An insight that could lay claim to having not only seen it all, but probably measured it as well! Kress ruthlessly distills the essence of what Wilson Benesch has sought to create after a life times dedication and consistent effort by its owners. From the outset Kress states, “High-end can only try to impart a credible illusion; more is not achievable in a small living-room, period”, He then goes on to describe the “conceptual decisions” that a loudspeaker designer faces in drive unit design and the critical importance of integration between these drive units. Before acknowledging that low-end extension in the bass is the most difficult part of the harmonic spectrum to get right. Where Kress perceives three parameters that require balance: bandwidth, sensitivity and cabinet volume. “a truly deep bass and high maximum sound pressure level require larger cabinets and a greater diaphragm surface. And so the trouble begins with that >>boxy sound<<"... The latter is fighting an almost forlorn battle with two problem fields. The first are the resonating cabinets themselves, which in spite of super thick walls and high masses can never be controlled perfectly. The second are the sound portions radiated backward into the interior of the cabinet, which can never be fully absorbed, either, and which interfere with the music signal if they get out. And this they do, because the (in this respect) weakest spots of even the most massive cabinets are the often paper-thin diaphragms themselves. It is a refreshing observation and one that illuminates one of the core philosophies that remains at the core of the design and development team at Wilson Benesch. From the outset, Wilson Benesch have maintained relatively small drive unit designs at the heart of relatively compact loudspeaker cabinet. Instead Wilson Benesch has consistently developed, dynamic, fast and thus well integrated drive technologies, namely the Tactic drive unit that was at the heart of the Odyssey Range (now the Square Series II) and the Tactic II drive unit that is now at the heart of the Geometry Series. And in turn compact loudspeaker cabinets, constructed from carbon fibre composites, using curved geometries to overcome as much as possible the cabinet resonances that Kress refers to, whilst also minimising the window through which sound inside the cabinet can escape through. Indeed, the Discovery design embodies so much of the design ethos of Wilson Benesch. As Kress goes on to illuminate when discussing the Isobaric Drive System that forms the heart of the Discoveries low frequency reproduction. Its unique purity (one again the cabinet! ), its way to paint fine details without ever drifting off into clinical analysis, its credible room imaging command our due respect, but what really matters: the Discovery II makes me forget so effortlessly that I’m listening to two speakers… the second Discovery is yet again a milestone. Readers will have to listen for themselves. But we are delighted with Kress’ review of the Discovery II. We would like to extend our gratitude to Wilfried Kress, Iris Kress, Olaf Sturm and all the Hifi & Records team. We would also like to make a personal thank you to our German import partners IBEX Audio. The full unedited PDF of Wilfried Kress’s Discovery II Review is here in English. As the Audiophile Editor of the Stereoplay in the nineties, Wilfried Kress established a reputation that challenged any designer to prove through objective facts and measurements any claims being made of their product. A fierce devotee of science and accuracy many feared his gaze. These principles continue today, but not under any auspices, because Kress created his own magazine 20 years ago, which today can still be seen, to take a huge amount of time and care to measure and analyse all the products that pass under its roof. Hi fi & Records is a visually stunning understated statement of fidelity and clarity of thought.